The House of Lords historically has jurisdiction to hear appeals from the lower courts. Theoretically, the appeals are to the Sovereign-in-Parliament, but the House of Commons does not participate in judicial matters. The House of Lords does not necessarily include judges, but it was formerly attended by several judges who gave their opinions when the Lords desired. They did not, however, have the power to vote in the House and “Lords of Appeal in Ordinary,” commonly known as Law Lords, were appointed under the Appellate Jurisdiction Act 1876 to the House of Lords of the United Kingdom in order to exercise its judicial functions, which included acting as the highest court of appeal for most domestic matters. To be appointed a Lord of Appeal in Ordinary under the 1876 Act, an individual is required to have been a practicing barrister for a period of fifteen years or to have held a high judicial office (Lord Chancellor (before 2005) or judge of the Court of Appeal, High Court or Court of Session) for a period of two years. They are required to retire from judicial office at 70 or 75 years of age, though as peers under the style of Baron they continue to serve as members of the House of Lords in its legislative capacity for life. In 2003 the Lord Chancellor, Lord Falconer brought forward the “Constitutional Reform Bill” which contained proposals for reforming the powers of the Lord Chancellor and the dismantling of his office. The argument advanced in support of his initiative was that this would formally separate the powers of law makers from the judicial authorities. In debate the Lords perceived there to be no need for a “Supreme Court” to replace the House of Lords as the final court of appeal. They were also discontented about a lack of adequate warning of the proposed changes to remove the Law Lords from the upper house to a new court and the absence of public debate. The government was defeated and the matter was remitted to the “Constitutional Affairs Committee” for discussion and amendment. 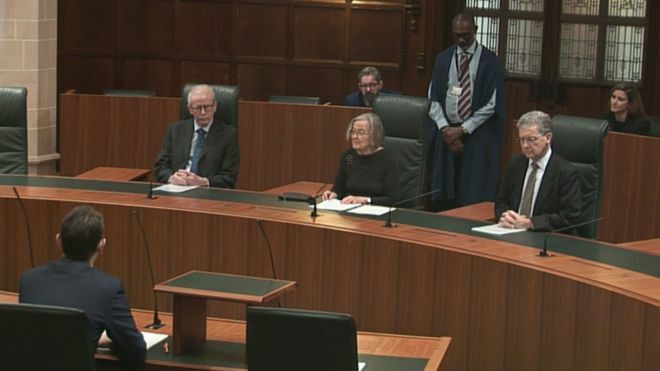 The committee interviewed a number of eminent figures from the political and judicial system, including Scotland’s most senior judge Lord Cullen. An amended bill was finally introduced into law in 2009 (roughly 5 years after). From that time there has been an amount of controversy in regard to the operation of the court and the matter of the Scots “Claim of Right” , that pre-dates the 1707 “Act of Union” and dictates that the “Independence of Scots law” is guaranteed, in perpetuity and remains extant. Afternote: On 4 July 2018, the House of Commons officially endorsed the principles of the Claim of Right, agreeing that the people of Scotland are sovereign and that they have the right to determine the best form of government for Scotland’s needs. Chairman: We are particularly pleased to have the head of judiciary in Scotland. Lord Cullen: we have met before when we were carrying out our inquiry into the judicial appointments in Scotland before the Government announced its plans for England and Wales. What we thought we might do is start by looking at the Supreme Court issue and initially looking at it in general terms before coming on to those aspects which are particular to Scotland. Lord Cullen: It all depends what kind of Supreme Court we are talking about. We seem to be talking about one which is simply taking over lock, stock and barrel the existing functions of the Appellate Committee and perhaps also the Judicial Committee of the Privy Council, so what is happening is to happen somewhere else in a different atmosphere and I do not quite see how that takes you any further. There may be opportunities possibly for making pronouncements which would be of use to the whole of the United Kingdom, but one has to remember that the existing civil jurisdiction as far as Scotland is concerned is that the Appellate Committee functions as a Scottish court (with a wall, as it were) between it and its functioning as an English court. Q: Could I address my comments to you, Lord Cullen. I understand from your evidence that you are not wildly enthusiastic about the proposed changes? Lord Cullen: That is right. Q: Many of us were astounded that the Government could come up with proposals to reorganize our court of final appeals without consulting the outgoing Lord Chancellor, the incoming Lord Chancellor, the present members of the Judicial Committee of the Lords, and I think we would do better to discuss this in terms of a court of final appeal and leave the title to be chosen afterwards. Referring to perceptions. What would be the minimal changes that might meet the perception point? Lord Cullen: I am not sure what you mean by “minimal changes”. Q: Largely that the Lord Chancellor should not be able to sit as a law lord. The minimal change is the Lord Chancellor saying “I will not sit as a law lord” rather than throwing the whole system in the air. People argue that having the law lords meeting in the House of Lords is somehow the executive interfering, forgetting of course that Parliament is not the executive and that any arrangements are likely to be more expensive. Could they be cheaper than the present arrangements? Lord Cullen: I cannot say because I do not sit as a Lord of Appeal but my impression is that it would be cheaper to leave things as they are than to create something free-standing outside, and there also is the advantage at the moment, as I understand it, that the Appellate Committee is funded through the House of Lords whereas if it is to be exported to some other place it would then be funded by the Department of Constitutional Affairs, hence you get a closer association or greater association with the executive which did not previously exist. Now that itself raises a problem of independence. 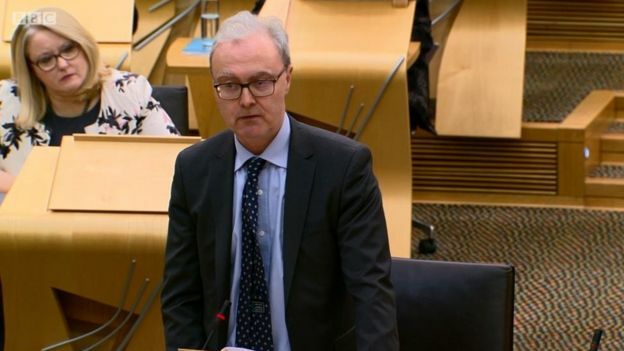 Chairman: Turning, Lord Cullen, to the Scottish aspects of this, are the Government’s proposals compatible with the Act of Union, Article 19 and the “Claim of Right” and, if not, what would have to be done to them to make them compatible? Lord Cullen: I venture this matter in my response really in order to make the point that this aspect ought to be considered by the Government. Before the “Act of Union” there is the “Claim of Right”, which was a Scottish provision at the time when the monarchy was returning to Scotland in 1689 and there was then a declaration by the Scottish Parliament as to the right of subjects to protest for remede of law to the King and Parliament and that is the ancestor, so far as Scotland is concerned, of the hearing of civil appeals from the Court of Session to the House of Lords. The second point is that, until now, it has been recognized that there are some situations, not easy to define, where certain elements in our constitution may be unalterable – that is a possible view. It arises from time to time, most recently in the case involving Lord Gray’s Motion where certain members of the “Committee for Privileges” reserved their view on that matter. So however strange it may seem there is an argument that Parliament might not be able to alter or undo certain elements of a constitutional nature. That is a sketch of the argument: whether it is good or not I do not propose to advance, but simply say it is there to be considered. Chairman: Are you proposing any way in which the Government’s proposals might be modified to avoid collision with that argument? 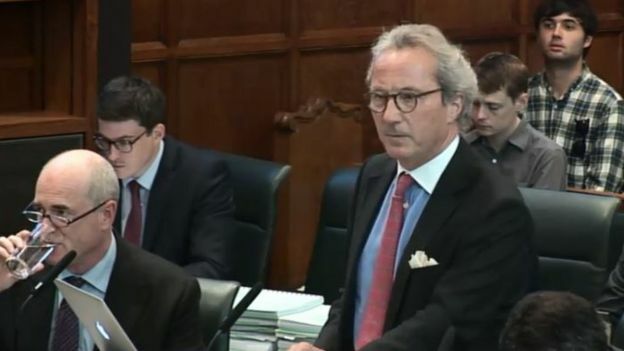 Lord Cullen: I am inclined to think that it may very well be that so far as civil appeals are concerned there is not a problem, but it is simply something that ought to be looked at. Therefore my answer to that is probably that no alteration is, in fact, required. Chairman: Do you agree that legislative competence so far as any changes to leave to appeal and things of that kind are concerned does not lie with Westminster under the devolution settlement but with the Scottish Parliament? Lord Cullen: That is quite a difficult matter. If you look at the Scotland Act you will find that what is reserved is the continued existence of the Court of Session and the High Court of Justiciary. 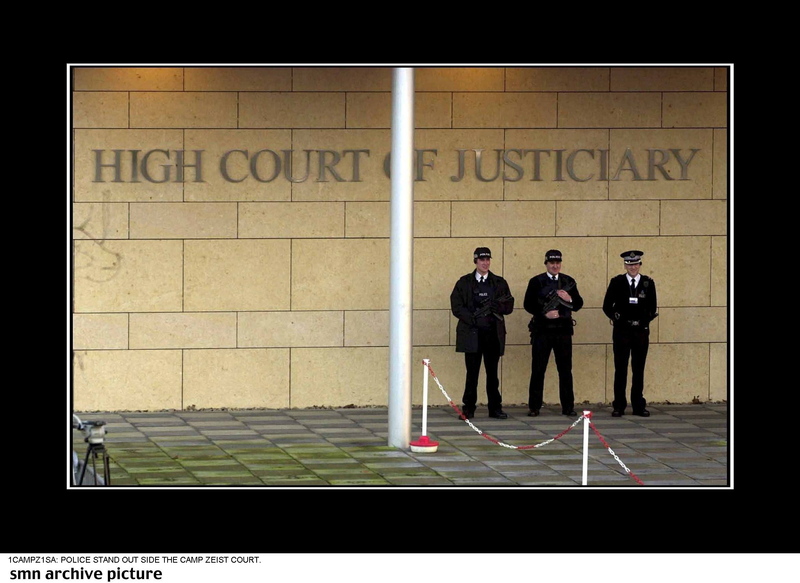 The way that the Scotland Act is constructed certain matters are specifically reserved: the rest is not, and therefore it appears on the face of it that matters other than the continued existence of these courts is a matter for the Scottish Parliament. Nobody is entirely clear as to that being the case but that seems to be the position, in which case there seems to be a role here for the Scottish Parliament. Now I would hope that the matter was not, so to speak, nodded through in Scotland but given serious consideration, but that is the position, as I understand it. Chairman: Lord Hope expressed the view that the Scottish Parliament would need time to deal with this matter before it proceeded at Westminster? Lord Cullen: I would agree with that and the consultation paper, whereas it makes clear what the executive’s attitude is and we have seen the executive’s response since then, so far as I know as yet there has not been a considered discussion in the Scottish Parliament. Chairman: There is a phrase which I think you may have challenged already which the Government use in respect of constitutional issues where they say that the establishment of the new court “accordingly gives us the opportunity to restore a single apex to the United Kingdom’s judicial system where all the constitutional issues can be considered”. That is in the consultation paper. Is it your view that, leaving aside the devolution issues, there ever was or should be a single apex which combines the judicial systems of England and Scotland? Lord Cullen: I do not think that is correct. The position until now is that the Appellate Committee functions sometimes as an English court and sometimes as a Scottish court, and I say that because what is binding in England is not binding in Scotland. You have two completely separate jurisdictions so that whatever decision the House of Lords reaches in regard to a civil matter it does not bind in Scotland, and vice versa, so you really have two apices rather than one apex and, if the position is that that is to be taken over by the Supreme Court, it will have those two high points, whereas the paper tends to talk as if this is the opportunity for the United Kingdom court. Well, I say that is obscuring the point: that you have two separate jurisdictions each with its own head happening to be administered under one device, namely the Appellate Committee. That is what we have: it is a result of the separate growth of two legal systems, and it is preserved, of course, by the Act of Union. A new United Kingdom Supreme Court, separating the judicial function from Parliament (those who make the law from those who interpret it in courts). From 1 October 2009, the Supreme Court of the UK assumed jurisdiction on points of law for all civil law cases in the UK and all criminal cases in England, Wales and Northern Ireland. 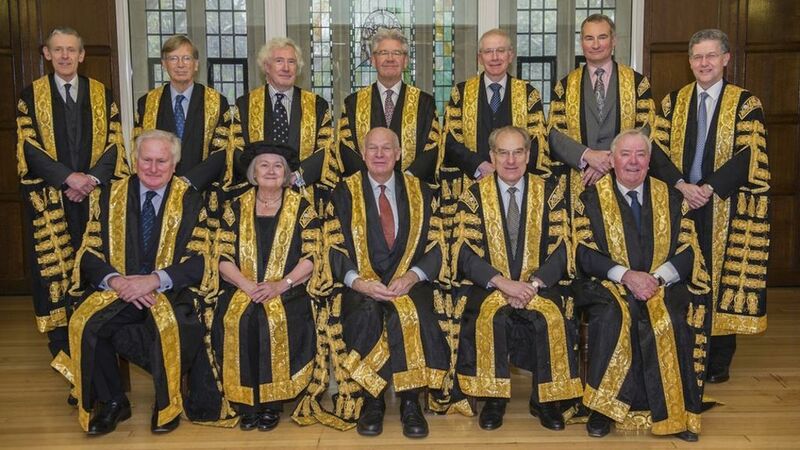 The 12 Lords of Appeal in Ordinary (the Law Lords) are the first justices of the 12-member Supreme Court and are disqualified from sitting or voting in the House of Lords. 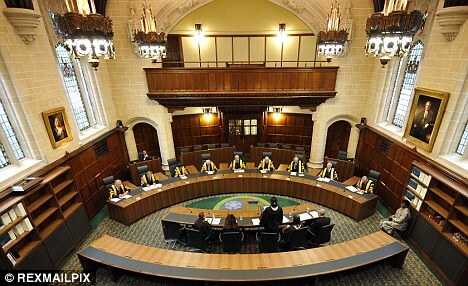 When they retire from the Supreme Court they can return to the House of Lords as full Members but newly-appointed Justices of the Supreme Court will not have seats in the House of Lords. 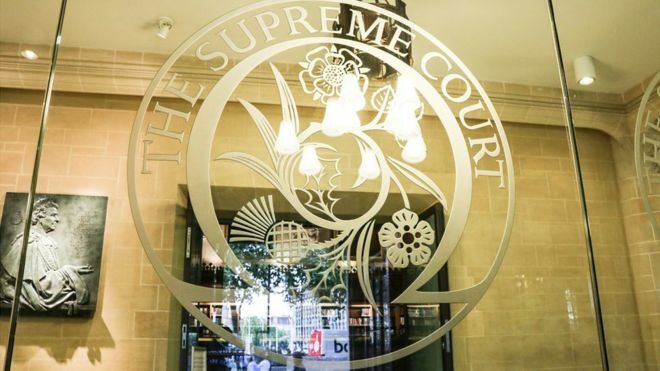 The lord justice clerk has attacked the UK Supreme Court, calling it remote and “far removed” from the realities of Scots law. Lord Carloway said the court had a “depressing influence” on the legal system in Scotland. The remarks came in a speech made by the judge at a conference of Commonwealth Law Reform Agencies in Edinburgh. He said: “The Supreme Court, which has hitherto sat only in London, may be deemed to exercise greater autonomy in the selection of topics for the reform of Scots civil law than the Scottish Law Commission itself. While the criminal law court hierarchy in Scotland ends with the High Court of Justiciary, the Supreme Court can deal with particular questions relating to devolution and arising from civil or criminal proceedings. The UK Supreme Court has today over-ruled Scotland’s highest appeal court in two important human rights cases. In both, judgements passed in Edinburgh were unanimously overruled by a five-judge panel sitting in London on fundamental legal issues. Their decisions raise the possibility of another judicial and political cross-border row. Senior political figures such as First Minister Alex Salmond and Justice Secretary Kenny MacAskill have already raised concerns about what they see as the Supreme Court interfering in Scottish legal affairs. The Supreme Court bench in both cases was headed by Lord Hope, deputy president of the London-based court and former Lord President of the Court of Session in Edinburgh who has previously spoken out against the “corrosive anti-English sentiment” in Scotland’s courts, describing it as an obstacle to legal progress, and has been the subject of biting criticism by Mr Salmond, who accused Lord Hope of allowing “some of the vilest people on the planet” to win compensation from the taxpayer. Scotland is to apply to the Supreme Court to be allowed to table a legal challenge at the Court on 5 December 2016, against the UK Government as it tries to overturn a Brexit court ruling. The attempt is to make sure MPs and Scotland’s parliament have a say on triggering Article 50. 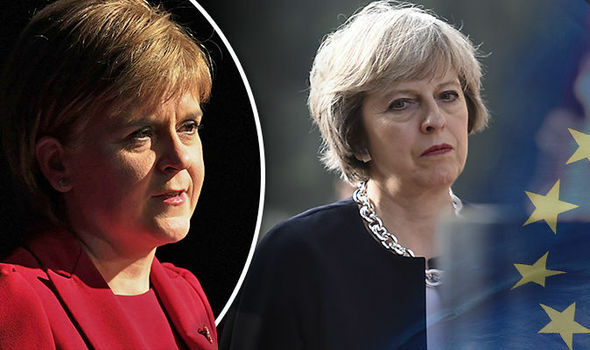 First Minister Nicola Sturgeon said “it simply cannot be right” that European Union membership “can be removed by the UK Government on the say-so of a Prime Minister without parliamentary debate, scrutiny or consent”. She added: “So legislation should be required at Westminster and the consent of the Scottish Parliament should be sought before Article 50 is triggered. Let me be clear – I recognize and respect the right of England and Wales to leave the European Union. This is not an attempt to veto that process. 13 Dec 2018: Brexit Legislation – UK Supreme Court Upholds Scottish Parliament – But its ruling is thwarted by the Westminster Government’s Introduction of Counter Legislation, (with Royal Assent) before the Supreme Court Judged the Westminster Government Appeal. Brexit legislation was drafted as an alternative to Westminster’s EU Withdrawal Bill, which MSPs refused to give their consent to following a row over how powers currently exercised from Brussels will be used after Brexit. Holyrood Presiding Officer Ken Macintosh wrote an official memo saying the bill was “not within the legislative competence of the parliament”. His assertions were denied by the Scottish government’s legal advisers. But the delay paved the way for UK law officers to apply to the Supreme Court to provide “legal certainty” about whether the Holyrood vote was valid. A two-day hearing was held in London in July, with the UK government arguing that the bill should be struck down. Lord Keen Advocate General argued the case for the Westminster government. 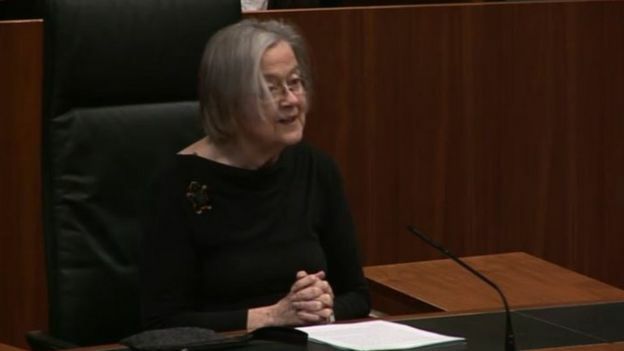 Lady Hale said the judges had unanimously rejected all but one section of the UK government’s arguments. She said “the whole of the Scottish bill would not be outside the legislative competence of the Scottish Parliament”, but that one section – relating to MSPs having to give consent for UK Brexit laws – was not within Holyrood’s remit. The judges explained in their ruling that changes had been made to the UK legislation, (before the appeal hearing) adding a special schedule of protected legislation which MSPs could not modify , returning to Westminster authority over 21 previously devolved provisions. This meant that the bill was entirely competent when it was passed by MSPs in March 2018. Only the Tory’s and a single Lib Dem MSP voted against it. The ruling means that the EU Withdrawal Act remains the basis on which Scotland’s statute book will be prepared for Brexit. MSPs could potentially bring the continuity bill back for reconsideration at Holyrood, provided they take action on the areas highlighted by the Supreme Court. Lord Advocate, Mr James Wolffe said ministers would seek talks with all opposition parties about “whether that’s the right way forward”.